Barren River Boat Shop is owned and operated by Scott and Megan Taylor. 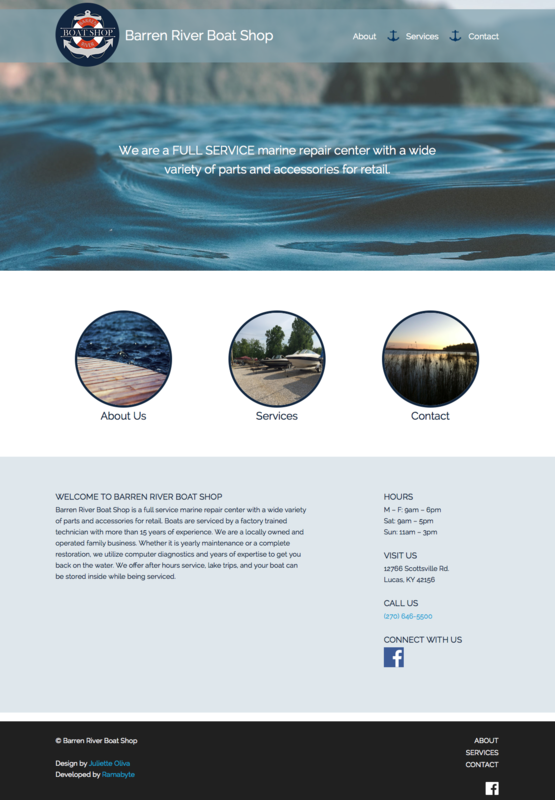 The shop is a full service marine repair center with a wide variety of parts and accessories for retail. They specialize in the latest products, technology, diagnostics, maintenance, and repairs to ensure a quick turnaround so that you can stay on the water and enjoy your boat to its fullest! I was hired to do the development work for this site by Juliette Oliva. This is a new business who wanted to have a site up for customers and potentially look into an online storefront. The customers wanted this site up asap and I was able to work on it over two evenings to acquiesce to the customers request.